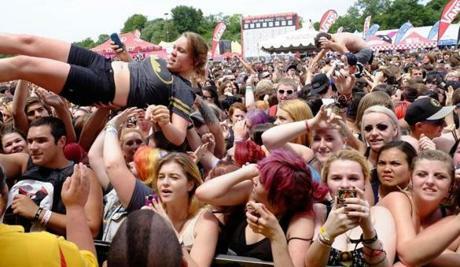 Fans of Bowling for Soup cheered and crowd surfed during the 20th edition of the Van's Warped Tour at the Xfinity Center in Mansfield Thursday. 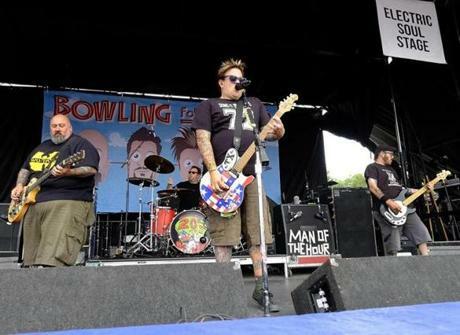 The Texas-based rock band Bowling for Soup. 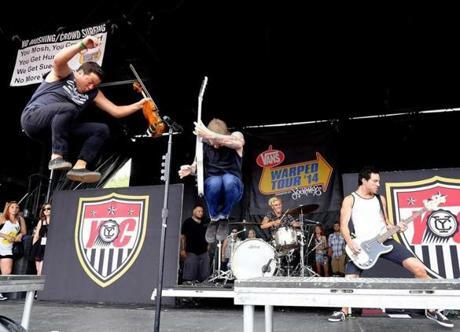 The violin-assisted Yellowcard presented a poppier take on punk. 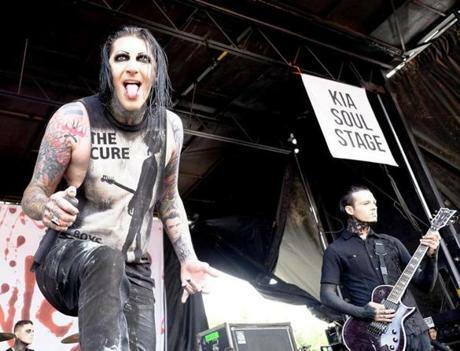 The Pennsylvania-based Motionless In White. 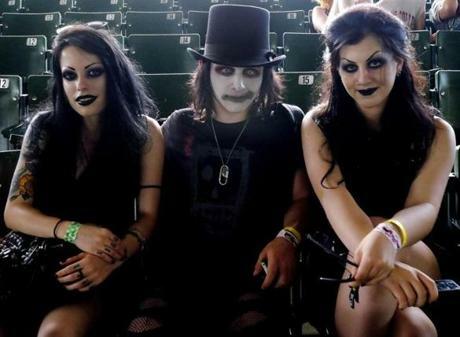 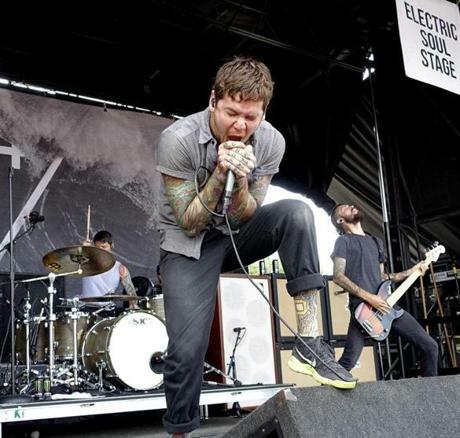 Three fans at Warped Tour.